Accidents and Drivers with No Insurance: Now What?! – Ross, Stepien & Kadey, Inc.
Uninsured and underinsured motorist coverage reimburses policyholders in an accident involving an uninsured, underinsured or hit-and-run driver. Twenty states and the District of Columbia have mandatory requirements for uninsured or underinsured motorist coverage. A handful of states, including Nevada and Texas, have passed laws and begun to develop and implement online auto insurance verification systems to identify uninsured motorists. In 2012, 12.6 percent of motorists, or about one in eight drivers, was uninsured, according to a 2014 study by the Insurance Research Council (IRC). The percentage has been declining in recent years. Oklahoma had the highest percentage of uninsured motorists, 26 percent, and Massachusetts had the lowest, 4 percent. IRC measures the number of uninsured motorists based on insurance claims, using a ratio of insurance claims made by people who were injured by uninsured drivers relative to the claims made by people who were injured by insured drivers. PIP=Personal Injury Protection. Mandatory in no-fault states. Includes medical, rehabilitation, loss of earnings and funeral expenses. In some states PIP includes essential services such as child care. FR=Financial responsibility only. Insurance not compulsory. (2) The first two numbers refer to bodily injury liability limits and the third number to property damage liability. For example, 20/40/10 means coverage up to $40,000 for all persons injured in an accident, subject to a limit of $20,000 for one individual, and $10,000 coverage for property damage. (3) a. Insurer must notify Department of Motor Vehicles or other state agency of cancellation or nonrenewal. b. 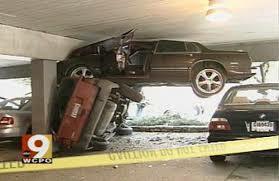 Insurer must verify financial responsibility or insurance after an accident or arrest. c.Insurer must verify randomly selected insurance policies upon request. d. Insurers must submit entire list of insurance in effect, which may be compared with registrations at a state agency. Also known as a computer data law or online verification system. Also includes cases where insurers are required to report new issues and/or renewals. (4) Low-cost policy limits for low-income drivers in the California Automobile Assigned Risk Plan are 10/20/3. (5) Instead of policy limits, policyholders can satisfy the requirement with a combined single limit policy. Amounts vary by state. (6) In addition, policyholders must also have coverage for medical payments. Amounts vary by state. (7) Basic policy (optional) limits are 10/10/5. Uninsured and underinsured motorist coverage not available under the basic policy but uninsured motorist coverage is required under the standard policy. Special Automobile Insurance Policy available for certain drivers which only covers emergency treatment and a $10,000 death benefit. (8) In addition, policyholders must have 50/100 for wrongful death coverage. (9) Mandatory in policies with UM limits exceeding 30/60. (10) Compulsory to buy insurance or pay an Uninsured Motorists Vehicle (UMV) fee to the state Department of Motor Vehicles. * Effective July 1, 2017. ***Implementation by January 1, 2017. Source: Property Casualty Insurers Association of America; state departments of insurance and motor vehicles.